You’ve had a good time visiting the attractions in Orlando, and now you’re looking forward to a casual evening in your new home away from home, Hyatt Regency Grand Cypress. Everyone is in agreement that a relaxing evening spent lounging in your most comfortable clothes is exactly what’s needed now. 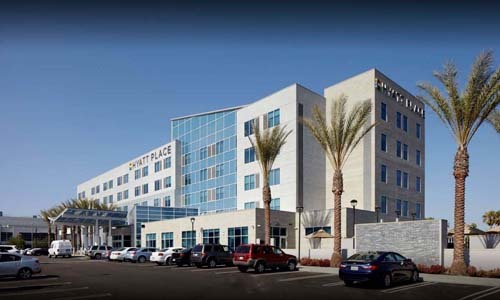 But, everyone is also hungry and wants delectable, hot, cheesy pizzas topped with their favorite toppings that are only found through first-rate pizza delivery to Hyatt Regency Grand Cypress. The best pizza near Hyatt Regency Grand Cypress comes from Caprino’s Italian Restaurant, the premiere Italian restaurant in the Orlando and Lake Buena Vista areas. Pizza delivered hot, fresh and fast to your doorstep at Hyatt Regency Grand Cypress will quickly become your new favorite way to enjoy a delicious hot meal without having to leave your hotel. Fun at the attractions of Orlando, including Walt Disney World, helps to create some of the best memories. Fond culinary memories come from hot, cheesy, delicious pizzas topped with everyone’s favorite tempting toppings. The best pizza delivery to Hyatt Regency Grand Cypress hotel from Caprino’s Italian Restaurant helps top off all your newly made memories in a perfect way. Chef Stefano Tedeschi, Caprino’s Lead Chef and the brilliant creator behind Caprino’s hand-crafted specialty pizzas, learned the craft of pizza making through training with authentic Italian Chefs, and through working in his family’s pizza business. 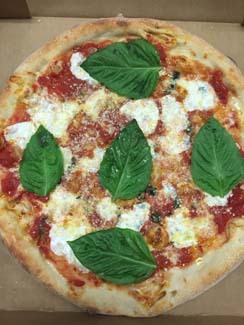 It was during those formative years that Chef Tedeschi was inspired to come up with pizza creations like the Bianco pie with Asiago and Ricotta cheeses perfectly blended with spinach and basil and seasoned with cracked black pepper, and Chef Stefano’s Special with spicy sausage, provolone, ricotta, mozzarella and red peppers. Specialty pizzas are just a small part of the total pizza experience offered by Caprino’s. 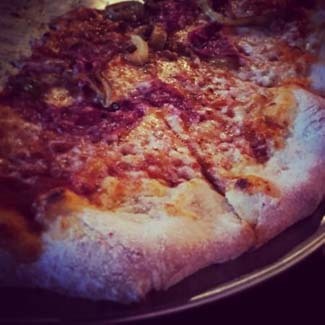 Whether you choose traditional toppings like extra cheese, mushrooms, onions, sausage or pepperoni, or you decide to be adventurous with ingredients like figs, Calamari, Prosciutto Di Parma or Kalamata Olives, Caprino’s creates your pizza in style. They begin to hand craft your pizza sensation within moments of you calling to order the best pizza near Hyatt Regency Grand Cypress. It all begins with the crispest crust made from imported flour and imported water from Italy. Your personal pizza creation is then expertly topped off and baked to perfection in a traditional hot pizza oven. 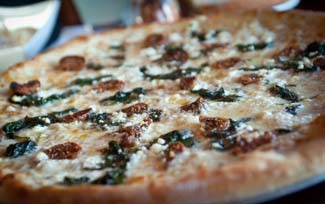 This family owned and operated pizza and Italian food restaurant, specializing in dine in experiences, takeout, catering and exceptional pizza delivery is ready to serve you with phenomenal, fast and fresh pizza delivery to Hyatt Regency Grand Cypress Lake Buena Vista FL that everyone will love. You get high quality, home like pizza creations, served with a focus on providing excellent delivery service. Why face another night of room service, or of everyone getting dressed up to go out to eat a delightful and memorable meal. You can make your own home-like memories by choosing delivery from the Best pizza restaurant near Hyatt Regency Grand Cypress Lake Buena Vista FL, from Caprino’s Italian Restaurant. Pizzas from Caprino’s Italian can be the traditional style that everyone loves. Or, they can also be as different as anything you’d find in a lavish restaurant setting. 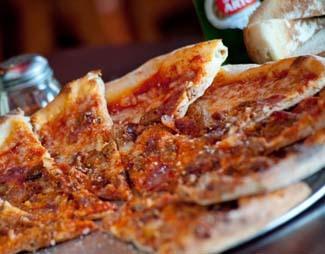 Meat lovers can choose from toppings like bacon, shrimp, sweet or spicy sausage, chicken, ham or even Calamari. Veggie aficionados love to choose from toppings like Arugula, the spiciest banana peppers, artichoke, traditional roasted red peppers, mushrooms, spinach or green peppers. With people across America choosing to eat about 350 slices of pizza per second, it’s little wonder that pizza has become not only a staple among American food choices, it is also the one food that practically everyone can agree upon. Having it custom-made to your taste and experiencing the best pizza delivery to Hyatt Regency Grand Cypress makes it even more special. Everyone will love having mouth-watering home style authentic Italian pizzas delivered by the best pizza restaurant near Hyatt Regency Grand Cypress Lake Buena Vista FL, Caprino’s Italian Restaurant. By using only the freshest, premiere ingredients expertly blended and baked to perfection, Caprino’s has created the pizza that true pizza lovers have made their first choice for pizza delivery near Walt Disney World. Who would have thought you’d be able to have a true family style pizza delivery experience, with your own expert authentic Italian pizza chef waiting to create your personal pizza, after a busy day of touring Walt Disney World, Sea World, Universal Studios and all the other famous attractions that make Orlando one of the world’s top destinations? Now it’s possible with fast, hot and fresh pizza delivery to Hyatt Regency Grand Cypress by Caprino’s Italian Restaurant. For the best experience, whether you choose dine in, takeout, catering or fast expert delivery, call today.